To support our work in education and cognitive research, we have taken positions on certain issues with an emphasis on protecting and promoting the rights of individuals with Down syndrome. 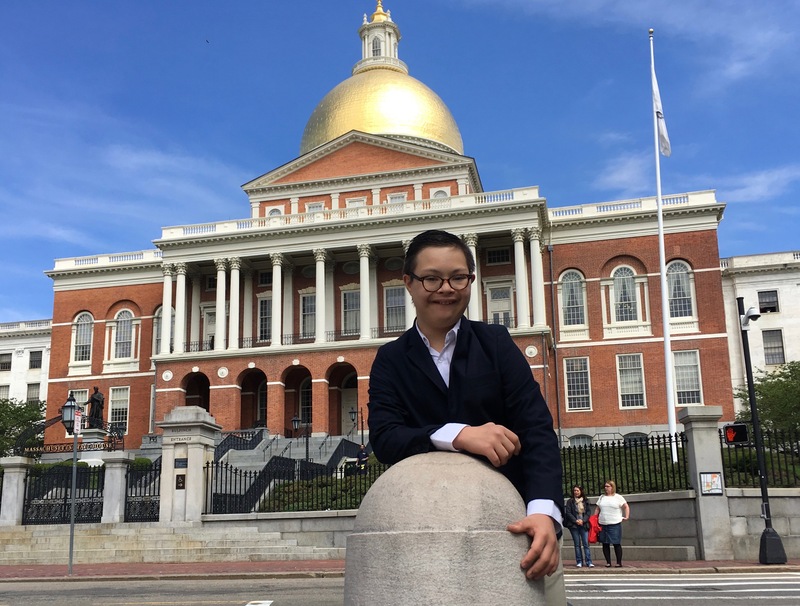 Given that “all politics is local”, our advocacy work has focused on disability-related bills proposed by our friends in the Massachusetts legislature. Each may be filed in the House, the Senate or both. Given limited resources we work closely with the Massachusetts Down Syndrome Congress (MDSC) to select those that are most consistent with our mission. For this MA legislative season, our priority bill is H.4286 (Rep. Haddad, Rep. Garballey) / S.2467 (Sen. L’italian), An Act Creating Higher Education Opportunities for Students with Intellectual Disabilities, Autism & Other Developmental Disabilities. This bill removes the barriers that preclude many people with intellectual & developmental disabilities (IDD) from participating in higher education. If this bill passes, people with IDD who are unable to pass the MCAS and consequently unable to obtain a regular high school diploma, would be able to enroll in courses with non-disabled peers. They would be able to participate in extracurricular activities and other aspects of campus life with supports and services to facilitate inclusion. It’s not necessarily about obtaining a college degree but rather transitioning to independent living and competitively-paid employment in an integrated setting. This bill has been approved by the Joint Committee on Higher Education and has now moved to the Senate Committee on Ways & Means. 15 state colleges and universities are currently partnering with 73 school districts and over 200 young adults with IDD. Institutes of higher education include: UMass Amherst, UMass Boston, Bridgewater State University, Framingham State University, Westfield State University, Salem State University and Bristol, Bunker Hill, Holyoke, Roxbury, MassBay, Middlesex, Mt. Wachusett, Northern Essex and Cape Cod community colleges. It is important to provide inclusion opportunities at more public institutions of higher education and we have testified at the Massachusetts State House on the importance of comprehensive legislation so ALL youth with IDD can have opportunities to access inclusive transition programs at institutes of higher education. Read our President’s testimony here. The most effective way to get our bills made into law is for you to reach out to your local state representatives and senators. Find your legislator here. Advocating for expectant and new parents of children with Down syndrome be provided accurate, up-to-date information about Down syndrome with the Act Relative to Down Syndrome Genetic Test Results. This bill passed in 2012 but we’ve gone further still, making public statements against the use of pre-natal testing for the purpose of terminating pregnancies diagnosed with Down syndrome. Please contact us for more information if you’d like to get involved.